New renderings have been released by developer Tishman Speyer for 11 Hoyt Street, a 57-storey condo tower designed by our friends at Studio Gang, including views of interiors, amenity spaces, and its nearly 27,K SqFt private park, designed by our friends at Hollander Design. 11 Hoyt is rising next to the Fulton Street Macy’s where Tishman Speyer is transforming a 10-storey space above the store into a 620,K SqFt office hub called The Wheeler. 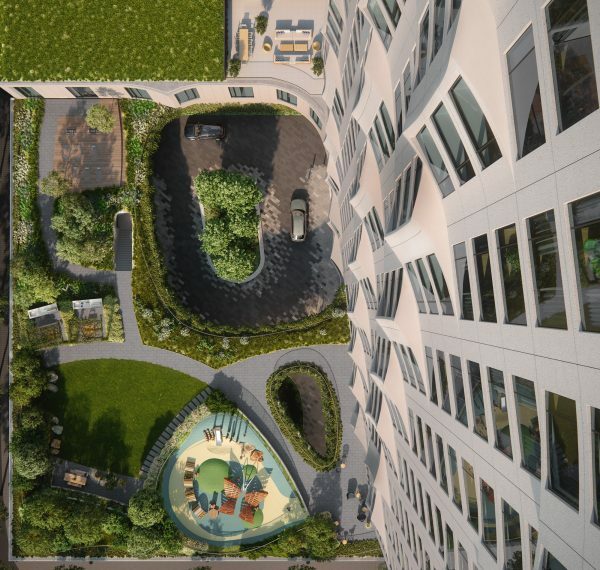 11 Hoyt is Jeanne Gang’s first residential project in NYC. The most notable feature of the development is undoubtedly its sprawling park, which features active and passive lawn spaces, barbecue pods, a sun deck (with a sauna), fitness deck, children’s play area and a “forest walk.” The Park Club amenity space, adjacent to the park, features a 75′ indoor saltwater pool, coworking and maker space, an exhaustive fitness center and other amenities. The facade of the tower is also notable for its scalloped concrete design. Also notable: the building’s 190 unique floorplans. 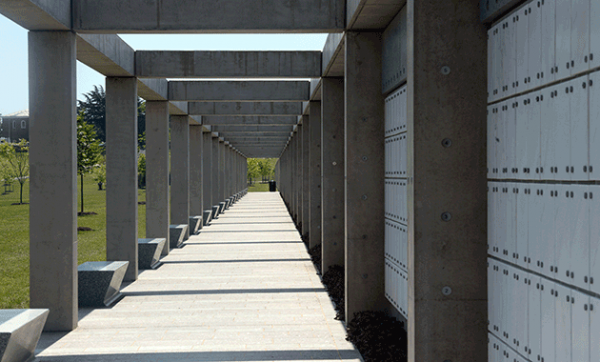 The Millennium Project is a 27-acre expansion of Arlington National Cemetery in Arlington Virginia, for which the design was created by our friends at Beyer Blinder Belle in collaboration with Sasaki and Jacobs Engineering. The $87M project will create ~27,K new spaces for above- and below-ground burials, including 6,K pre-dug graces, and 16,K niche wall burial spaces spread across five columbaria. (Arlington National Cemetery averages four to five burials per hour.) The addition also feature new shelters of granite and concrete to accommodate the site’s thousands upon thousands of daily visitors; there are also new pathways to enhance circulation for the expanded cemetery and some decorative stone gardens. The Millennium Project was the first significant update to Arlington to 40 years, and will be followed by the Southern Expansion: for which, the site’s footprint will be extended by 37 acres, overtaking the site of the former Navy Annex building. Mayor of New York Bill de Blasio has announced that financing has been secured for an extension of Hudson Park and Boulevard at the Hudson Yards megadevelopment. A $500M investment funds the extension which will include a three-acre park running over an Amtrak rail cut, running between 36th and 39th Streets and 10th and 11th Avenues, and expands parkland at Hudson Yards by 75%. Design of the park is led by our friends at Michael Van Valkenburgh Associates (MVVA) in collaboration with Tishman Speyer. The extension will introduce a rich swathe of greenspace to a massive development of historical and civic importance that is, right now, mostly industrial. 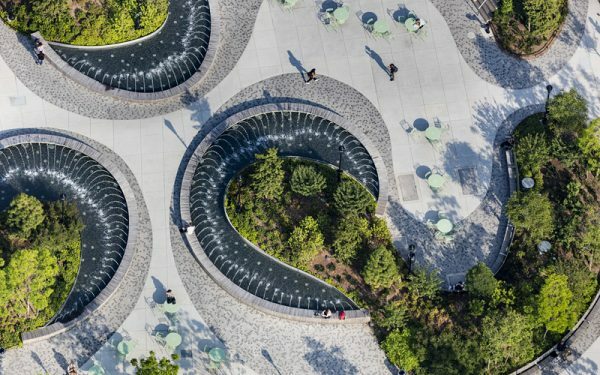 The design includes paved areas for public events, grassy areas designated for picnics and sports, &c, walking paths shaded by trees, and quiet areas with seating. Groundbreaking begins in late 2020; the park is scheduled to open in the winter of 2023. Financed by the Howard Hughes Corporation and designed by our friends at SHoP Architects, with landscape architecture (including outdoor furniture) by our friends at James Corner Field Operations, the Pier 17 revitalization is nearing completion after 4 years of planning and construction. A 300,K SqFt mall and public space, the plan has experienced a number of revisions since it was originally presented to the Landmarks Preservation Commission (LPC). The roof of the mall is now covered in pavers and designed with a view towards flexibility; the design features planters which can be moved to accommodate larger crowds, as well as a freight elevator which allows food trucks onto the roof directly from the adjacent FDR parkway; the roof can accommodate 3,400 standing guests. 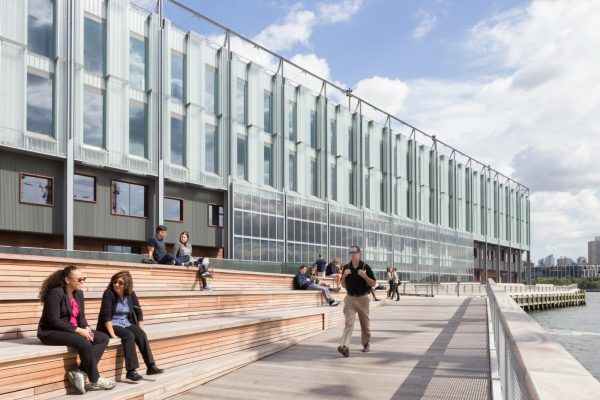 The mall is structured as a series of buildings within building, which in their design and implementation utilized materials paying homage to the pier’s natural heritage: sustainably harvested tropical hardwood, corrugated zinc sheets and tiles.